Far-removed from other camps, Bilimungwe Camp hearkens back to an earlier time, placing guests in the beating heart of the African bush in order to create a personalized wildlife adventure. 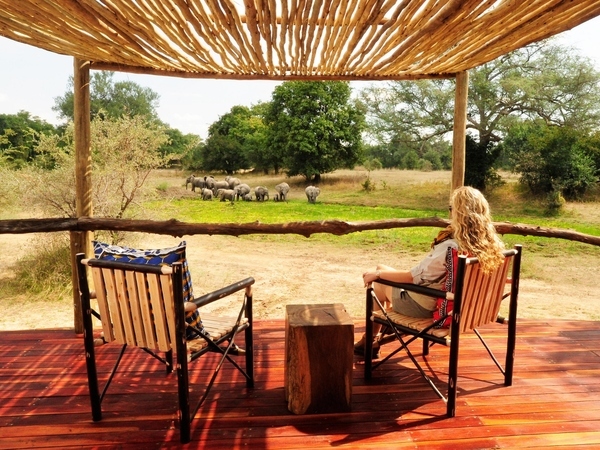 Bilimungwe Camp blends seamlessly with its surroundings and offers unrivaled wildlife viewings. 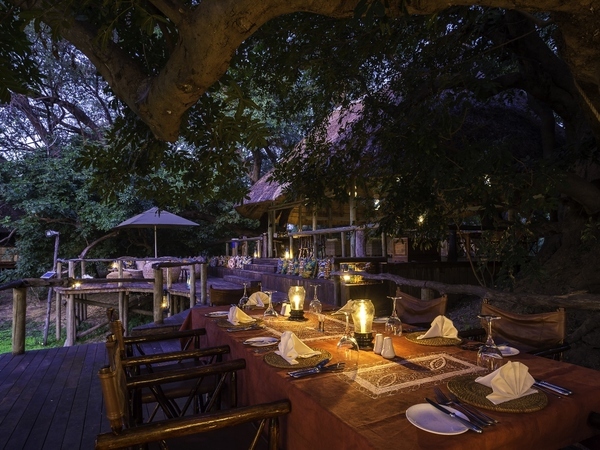 Set beneath huge mahogany trees, the serene essence of Bilimungwe Camp is its cool, shady lounge area overlooking a continuous stream of wildlife visiting watering holes nearby. 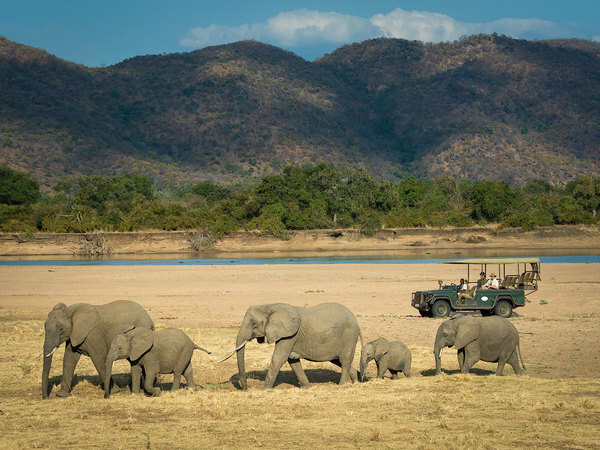 South Luangwa Park is a gem, with very few tourists and lots of wildlife, plus the chance to take amazing walking safaris. 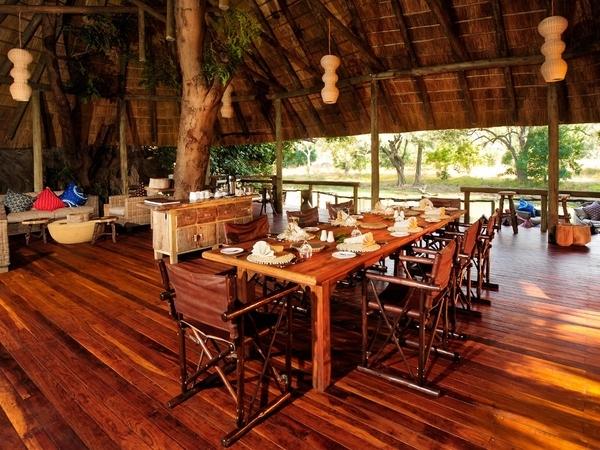 Bilimungwe is within walking distance of two other camps, making it a great stop on walking safaris. 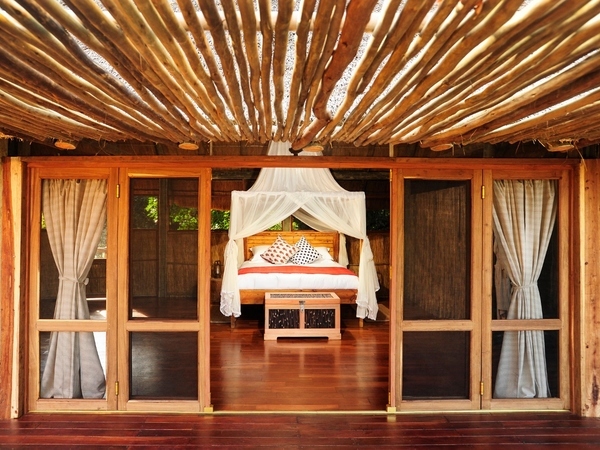 Its location, nestled under a grove of mahogany trees overlooking a floodplain, is truly relaxing. 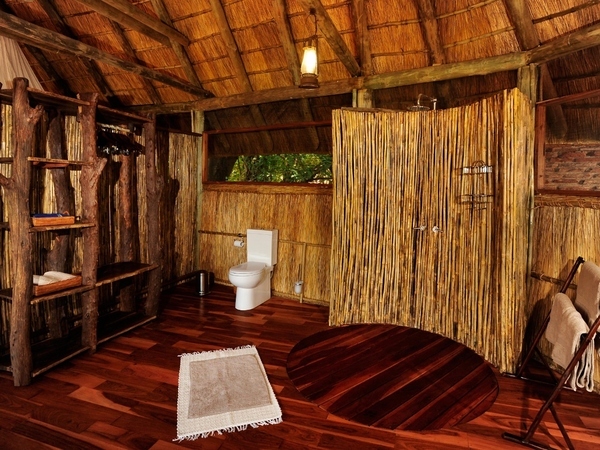 With only four chalets, the camp offers an intimate experience. 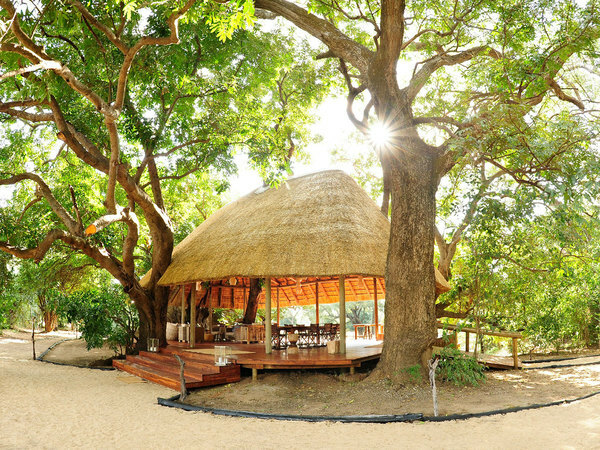 Bilimungwe’s four raised thatched rooms have been carefully designed to ensure the height of comfort while retaining an authentic bush camp feel. 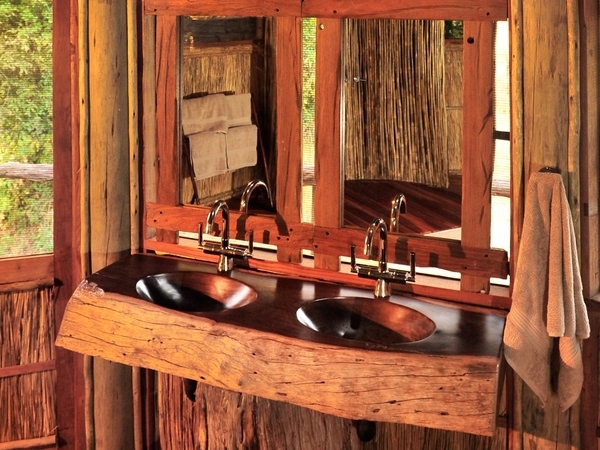 The canopy of mature mahogany trees surrounding the camp are echoed by the rich wood interiors and the beautiful wooden furniture, handmade by local artisans. 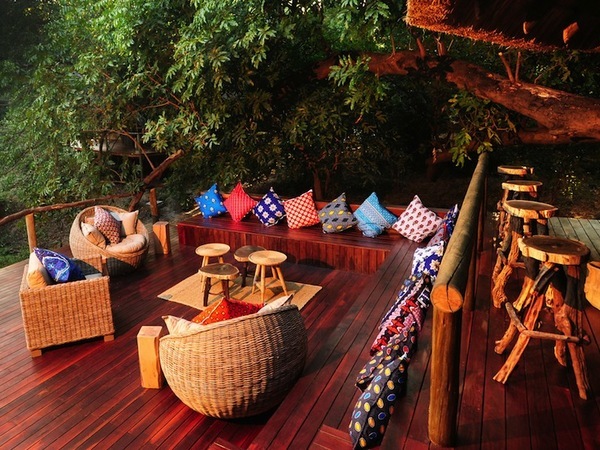 Bright African textiles bring splashes of color to the elegant rooms. 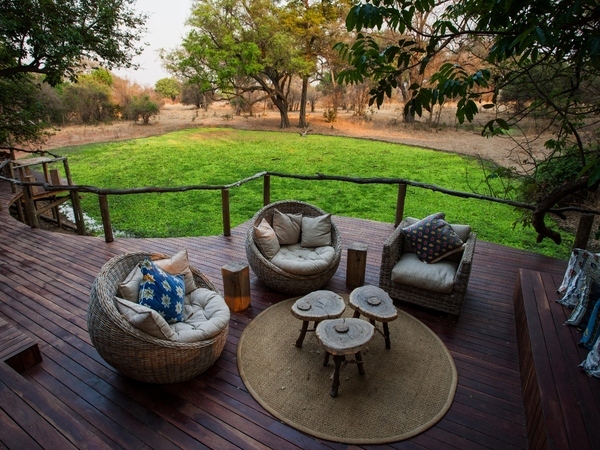 Each spacious room offers an open-air waterfall shower, en suite bathroom and ongoing wildlife spectacle from the private deck peering out onto the plains. 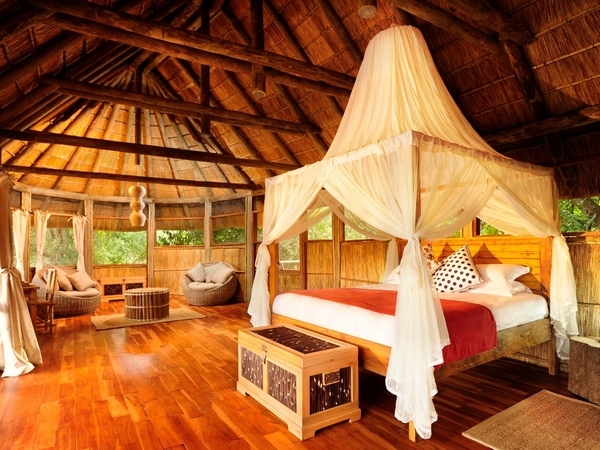 Bilimungwe sleeps up to eight guests and offers both queen and king-sized beds. 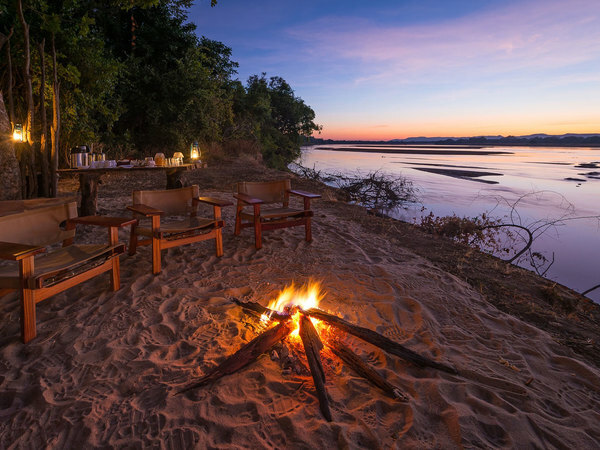 In the main camp, cozy armchairs beckon guests to sink and relax as an incredible display of wildlife congregates along the open waters of the Luangwa River. 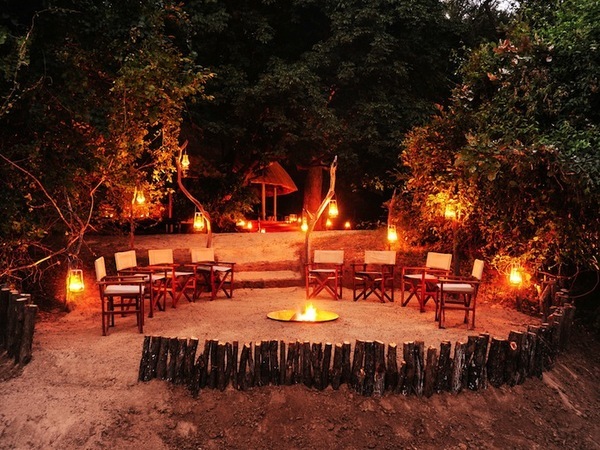 After a full day of safari activities, the waterside fire ring creates an idyllic setting for evening chats with the guides and fellow travelers, as adventures are shared. 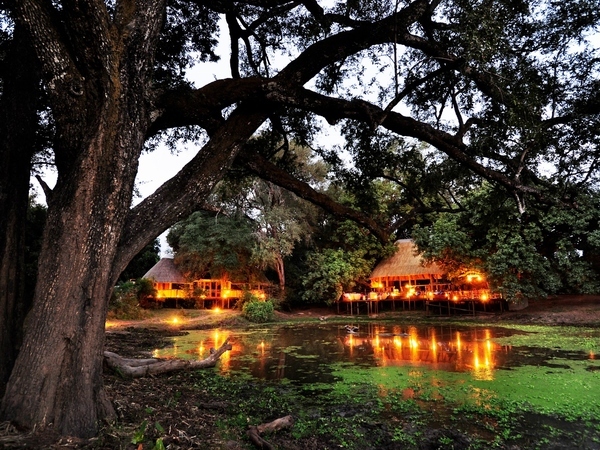 Set beneath huge mahogany trees, the serene essence of Bilimungwe Camp is its cool, shady lounge area overlooking a continuous stream of wildlife visiting watering holes nearby. 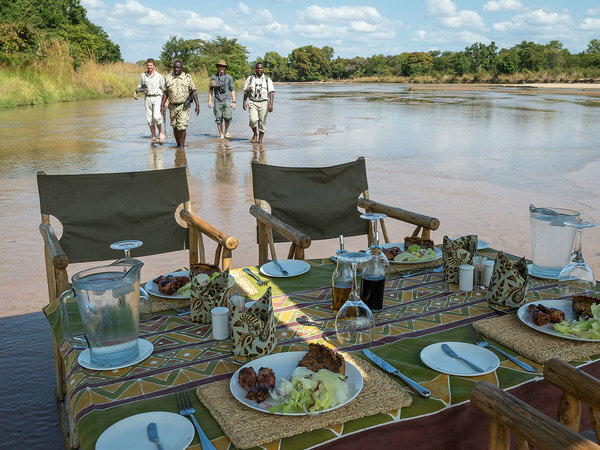 Bilimungwe Camp specializes in walking safaris where guests may take advantage of the exceptional knowledge of the resident guides. 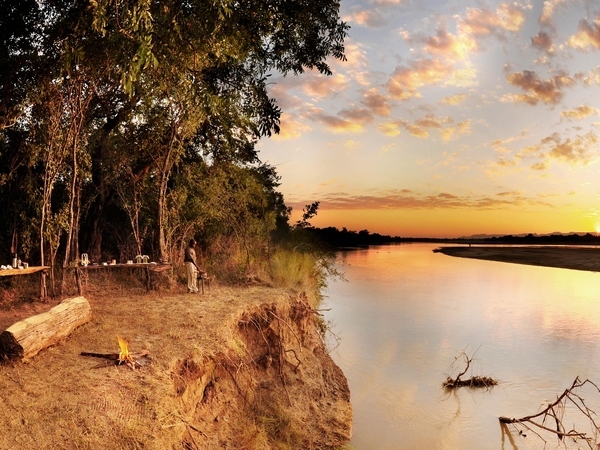 Day and night game drives and sundowners on the river’s edge are also offered. 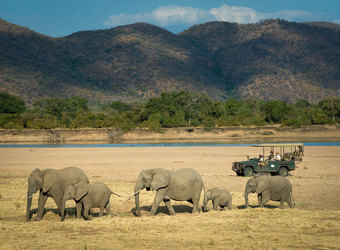 Warthogs, puku, impala and elephant regularly visit the camp’s watering holes, and prides of lion, giraffe, buffalo hippo, leopard and wild dog abound in the nearby forests and grassy plains. A profusion of 400 vibrant bird species including saddle bill stork, marabou stork, great white egret, black headed heron and the goliath heron thrive along the river. 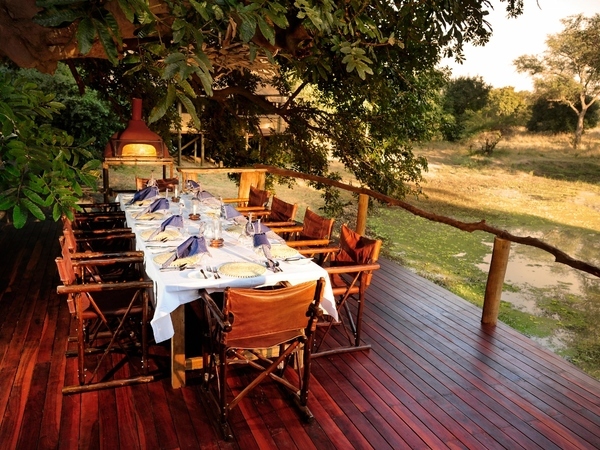 Zebras, baboons and hyenas also roam Luangwa’s untamed plains. 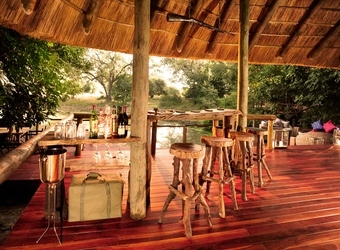 Waterside barbeques complement safari activities and tasty home-cooked meals and a well stocked bar await guests throughout the day. 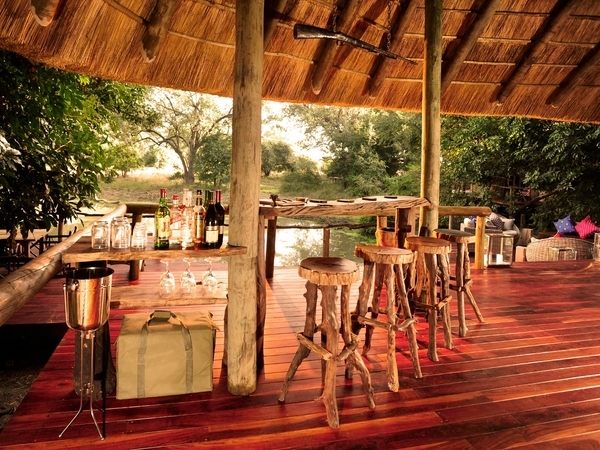 At Bilimungwe Camp, the nostalgic tradition of an African bush camp meets style to create a stunning camp. 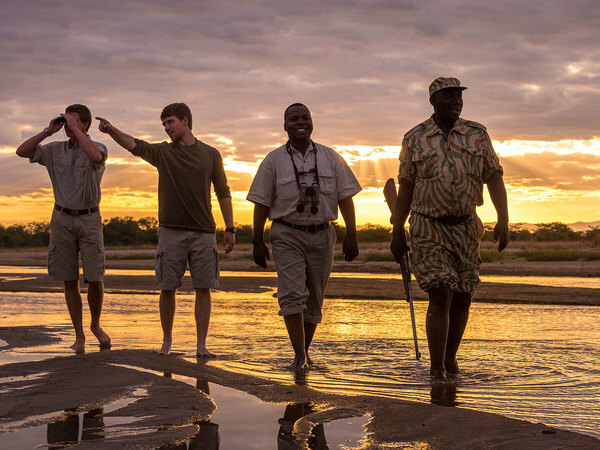 Bilimungwe Camp assists the wildlife and people of the South Luangwa by working with the local community to develop projects that help conserve precious natural resources. 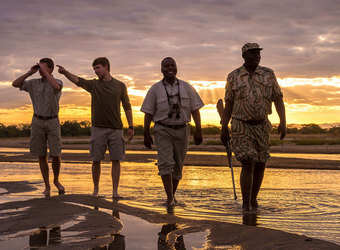 Bilimungwe Camp assists Africa Wild Dog Conservation Zambia researchers in collecting data on wild dog and other carnivore sightings and works with the South Luangwa Conservation Society, which plays a vital role in the park's anti-poaching effort. The camp, in conjunction with its operators, encourages the community to plant trees and has started several tree planting programs. 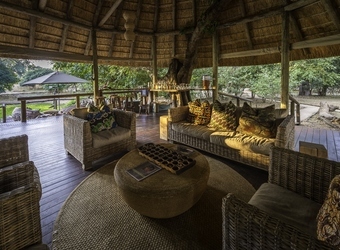 More recently, a relationship with the African Carbon Exchange (ACX), monitors ongoing targets set for the operators to reduce each camp’s ecological footprint. 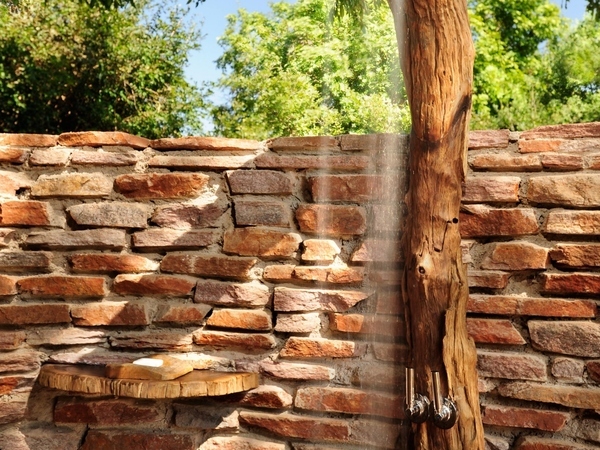 Bilimungwe Camp now features solar lighting and water heating, continually improving sustainability practices. "I loved this camp. 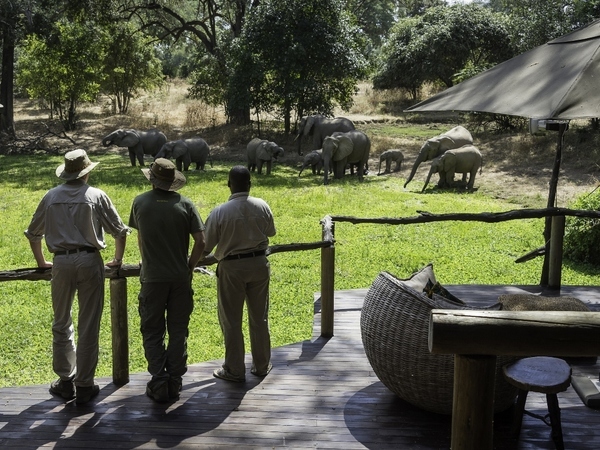 There is a water hole visible from every room with a constant parade of animals coming through. Beautiful camp facilities as well." 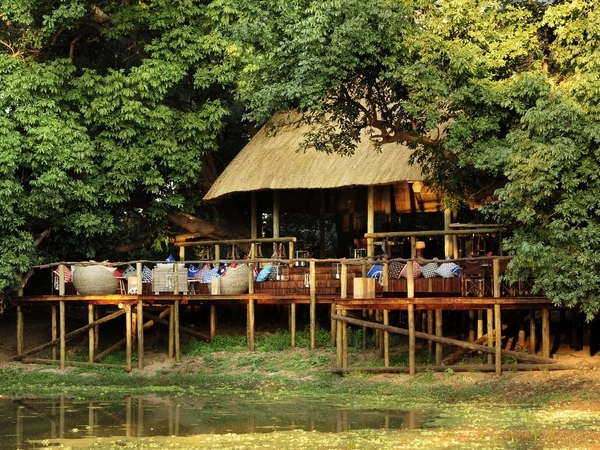 When did you visit Bilimungwe Camp?